Hello fellow outdoorsman and women. 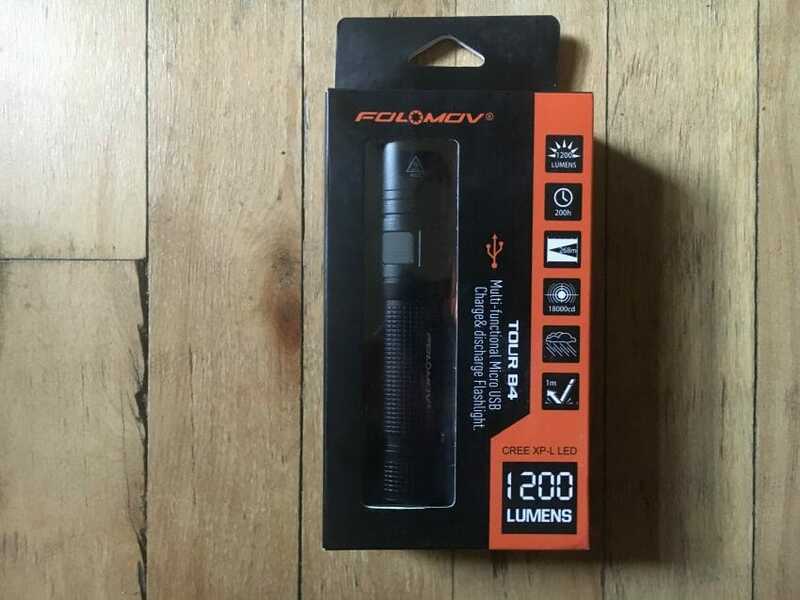 Today’s outdoor gear review is for the Folomov Tour B4 Flashlight. This LED flashlight is small in size, lightweight, solid and heavy-duty. 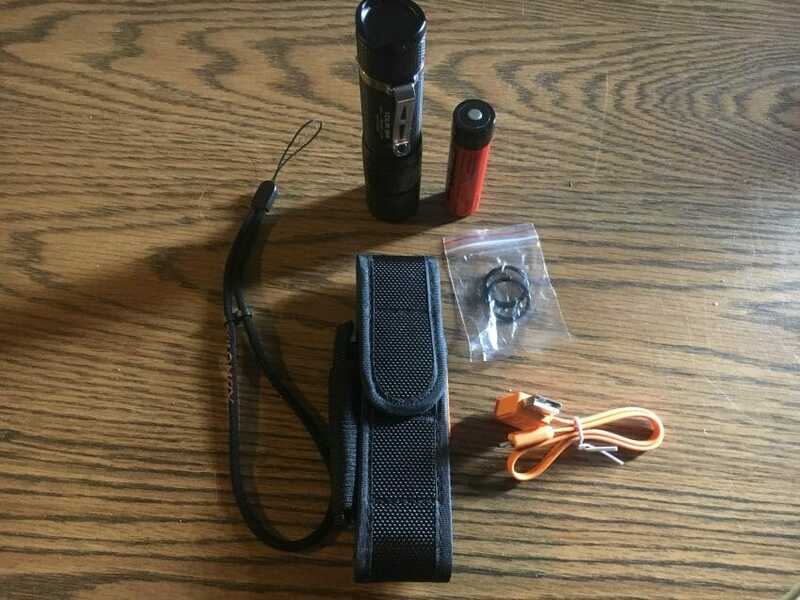 The flashlight comes with a rechargeable battery, charging cable, belt holster, lanyard and 2 extra O-rings. 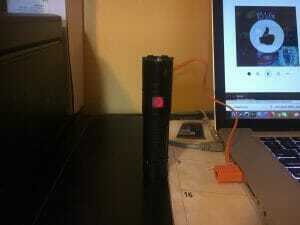 The flashlight is waterproof as well. The Tour B4 flashlight also has a low voltage warning system in the switch. Solid green light in the switch means you have 50% or better life. A slow flashing red light in the switch means you are between 10% and 50%. A fast flashing red light means you are below 10%. I wear the belt holster and take the Tour B4 flashlight whenever I go to work, in the woods or to camp. The belt holster is very well built and sturdy enough to withstand bumps, scrapes getting hooked onto things. The holster also comes with a place that you can carry an extra battery in case you need one. Of course if you do not like a belt holster, the flashlight also comes with a solid clip for carrying. The extra O-rings are a nice bonus too. 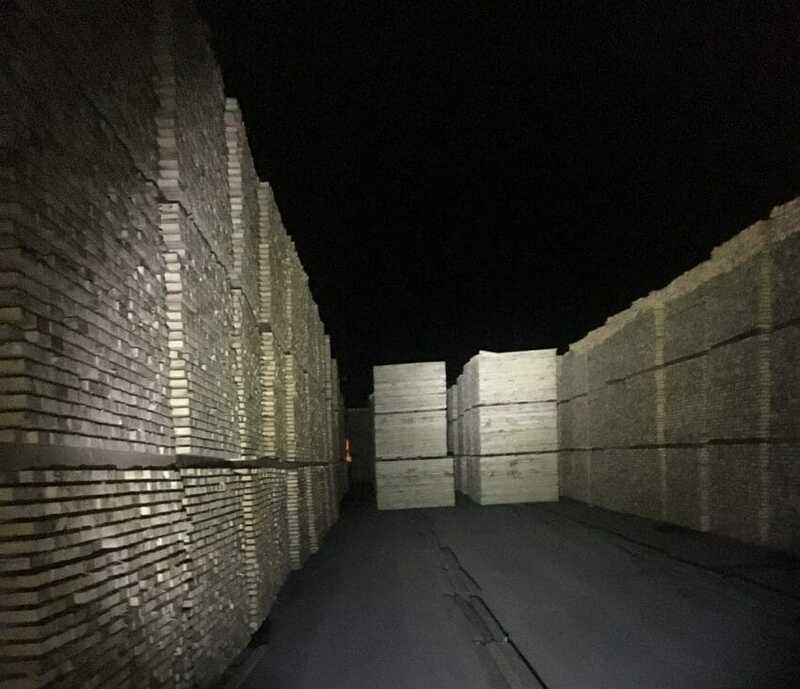 With the flashlight on turbo I can see all the way down the 110ft of dry kiln at work so that I can ensure safe operational procedures. There are several modes to choose from on the Tour B4 flashlight. For the beam you can choose from low, medium, high and turbo. There are also 3 special modes you can use, such as strobe, SOS and beacon. Each mode selection you choose provides a different amount of lumens. Of course each mode selection also depends on how long your battery life expectancy is. I suggest that you study the instruction manual to learn how to achieve each mode. To charge the flashlight, simply use the USB cord it comes with. While charging the on/off switch will flash red. 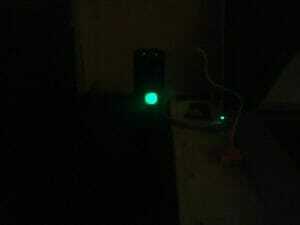 Once it is fully charged the switch will turn a solid green. I do not know how long it takes to charge fully since I charged mine overnight to be ready for work the next day. I suggest that you just allow enough time for charging so that you can charge it fully. The turbo mode only takes a couple of hours to drain the battery. As a warning, the flashlight has a warning caution of hot near the switch. Believe them, it does get warm. I was wearing goatskin gloves and could feel the heat coming from the end with the bulb and lens. A unique feature of the Tour B4 flashlight is that you can use 2 USB cables and charge other devices such as a cell phone. This will obviously drain the flashlight battery down but in an emergency this could be handy. A feature that I really like is the memory function. When you turn off your flashlight, whatever mode you were using is the mode that will come on when switching the flashlight back on. As mentioned before, there are several illumination modes and I do not like having to cycle through them all just to get to the mode I use the most. Thank you for your time in reading my review and as always, if you enjoyed the read, please share the review with your friends on social media. To see my other Outdoor Gear Reviews and articles, click HERE.